Sized to fit one-third cut file folders. Permanent adhesive. 9/16" x 2 3/4" White. 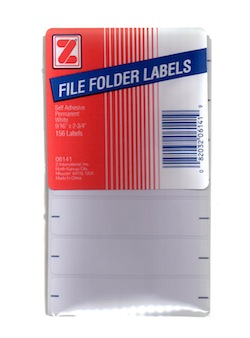 154 labels per package.